Abortion doctor sues her own hospital for silencing her. Pro-choice activists at the annual March for Life in front of the Supreme Court in 2014 in Washington. In one of the most notable oh snap! moments of 2016 so far, abortion doctor Diane Horvath-Cosper has announced that she is filing suit against the hospital where she is employed for banning her from speaking publicly on the topic of abortion. MedStar Washington Hospital Center in Washington, D.C., is now facing a federal civil rights complaint for placing what she calls a “gag order” on her work as a public advocate. Here is why this matters. Horvath-Cosper—as well as other abortion providers around the country, including myself—are fighting hard to keep abortion legal and accessible. Whether it’s speaking openly about the safety and normalcy of abortion or working in the most underrepresented parts of the country to provide care, there is a growing fraction of us providers who are not backing down to anti-choice bullying. As her friend and colleague, I can personally attest to Diane’s plight with this week’s news. MedStar silencing her work as an abortion rights advocate was a huge slap in the face. Her lawsuit is the ultimate mic drop, and believe me, everyone heard it fall. It’s not enough to support reproductive rights in theory. We are facing a legislative climate where anti-abortion laws are popping up all around the U.S. In Oklahoma, a bill just reached the governor’s desk that would revoke the medical licenses of any physician who provides abortions. In Utah, the governor just signed a bill into law that requires all women having abortions over 20 weeks to undergo the risks of complete general anesthesia, even though there is absolutely zero medical evidence that this is necessary. And the whopper of them all: Abortion clinics in Texas are nearly extinct because of HB2, a law that prohibits clinics from providing care unless they are structurally equivalent to full-on operating rooms, requiring useless million-dollar renovations. Loosely supporting reproductive rights has done nothing to stop this madness. And what’s worse, obstructing support of these rights by remaining complacent or embarrassed about the controversy it can cause is the pilot light in the anti-choice flame. 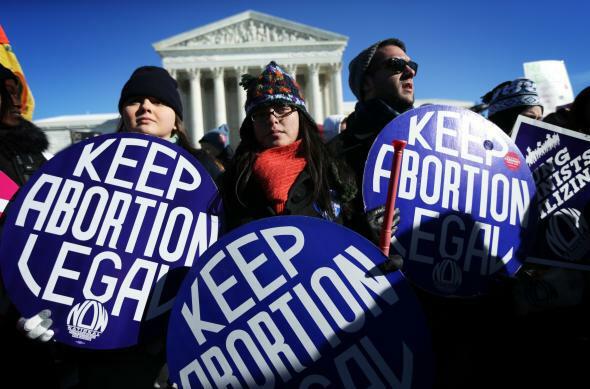 Opponents of legal abortion are banking on this complacency. That’s why bans against speaking out in support of abortion hurt more than just an isolated provider here or there; they hurt the entire cause. Diane knows this, and her move to challenge the system is a heroic step in the right direction. I recently talked to Diane on the phone about what would happen when news spread that she was stepping up to the very hospital that employs her to perform abortions but forces her to remain silent about them. We’re friends. She texted me immediately when a gunman opened fire at the Planned Parenthood in Colorado Springs last fall. And I’ve called her countless times to talk through the challenges that this type of work creates in your personal life. Before word of her lawsuit hit the press, we talked about how awful it is to not have a strong support system as an abortion provider, whether it’s at work with your colleagues or at home with your friends and family. A lack of support in these areas hurts far more than any protester shouting nasty comments or legislator vowing to make your job harder. It’s an undermining of everything we do as abortion providers and a sad reminder that anti-abortion terrorism is working. In true Diane form, she has done the same thing with her lawsuit, but against much bigger stakes. “Our silence has never and will never protect us,” she texted me today. “Patients deserve better than shame and secrecy.” To my friend and colleague, thank you for the work you do and for having the ovaries to stand up for women everywhere.